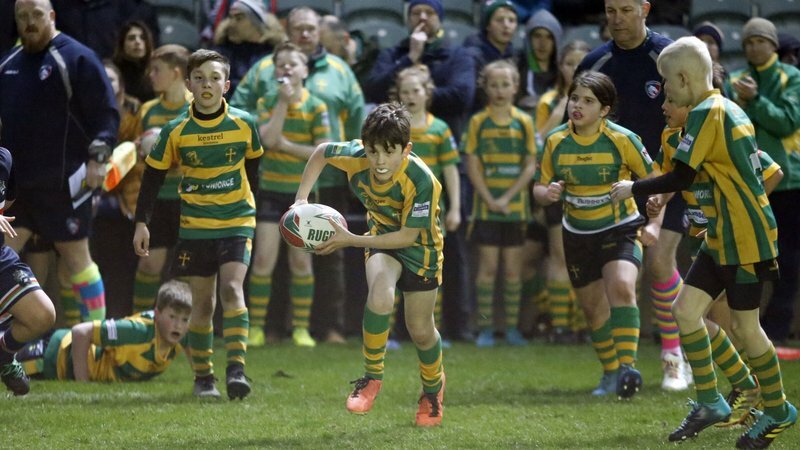 With local rivals Northampton Saints making the trip up the M1 to Welford Road this Friday, March 22 (7.45pm), we're taking a look back at the history of the one of the season's biggest fixtures. In the first of our three-part feature, we looked back at the first meeting between the two teams, early head-to-heads and the to-and-fro of the 1950's and 1960's. Click here to read part one. It was a 29-3 victory over Saints on January 27, 1979 which kicked off the Leicester’s route to Cup Final success with tries from Terry Burwell, Tim Barnwell, Garry Adey and Dusty Hare on the day providing a launchpad on the way to lifting the trophy. The following season Tigers completed a first-ever double of Cup and Merit Table victory, including home and away wins over Northampton and the team repeated the feat in 1980/81. 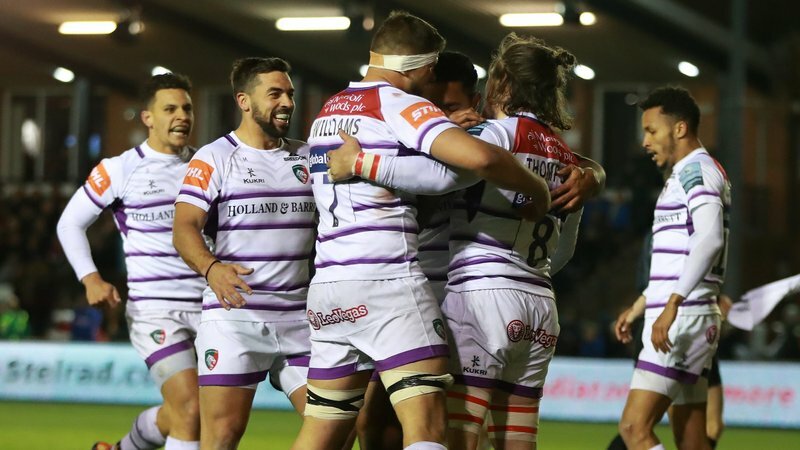 Tigers topped the table again a year later but their only defeat of the season was at the hands of Northampton, going down 22-6 before going undefeated for the next two league campaigns. Saints would have to wait until the 1989/90 season to next lower Tigers colours, this time in the quarter-final of the new Pilkington Cup. 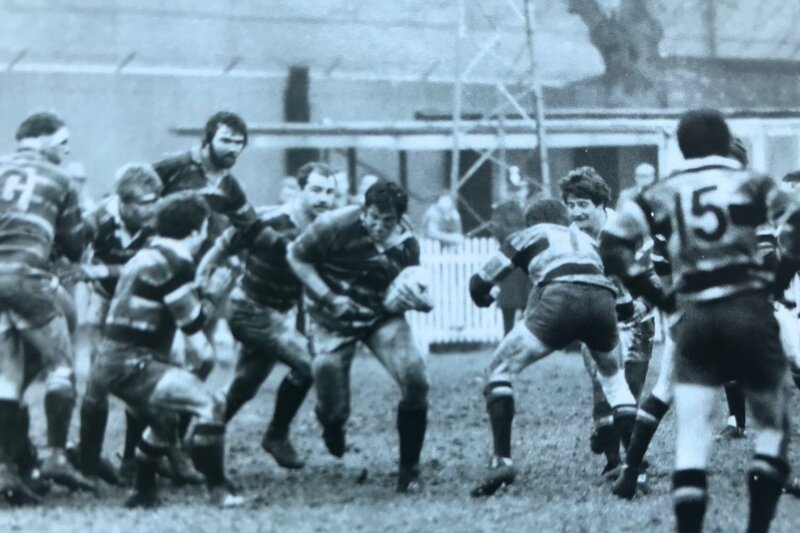 The two teams met for the first time in the national Courage League during the 1990/91 season, with Rory Underwood bagging a hat-trick of tries in a 28-18 win at Welford Road. 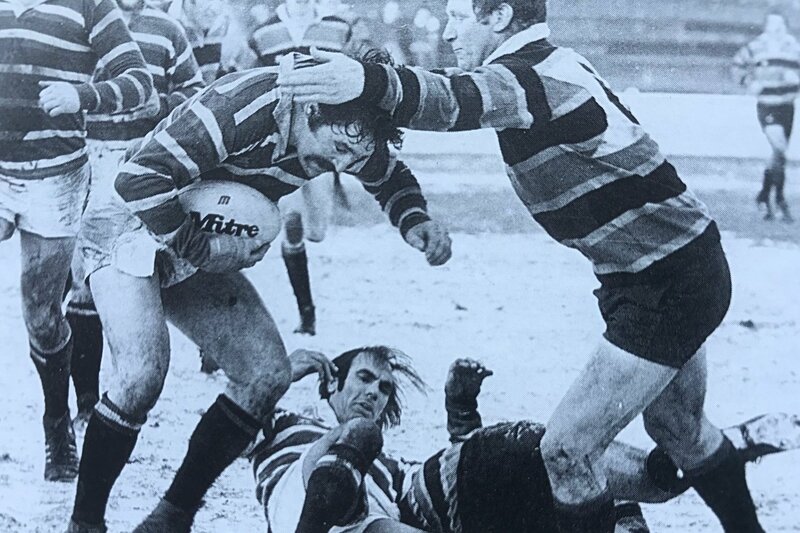 The following season, though, Tigers were beaten home and away for the first time since 1972/73 but had revenge a year later, as Dean Richards, Neil Back and Laurence Boyle scored tries in a famous 28-18 Pilkington Cup semi-final win over their derby rivals. Martin Johnson would go on to score a try in the Final against Harlequins. Professionalism saw an increase in the derby stakes and, following league and cup wins for Tigers in 1994/95 and ’96/97, Dean Richards’ first derby day in charge ended in a 15-15 draw at Welford Road in front of 14,500 supporters. The Richards era was trophy-laden, claiming four successive league titles and back-to-back European Cups as well as the new Zurich Championship, won after a 17-13 semi-final win over Saints at Welford Road. The 2002/03 campaign saw a first loss to Saints at Welford in nine years and then Northampton celebrated a derby double the following season for the first time in more than a decade. 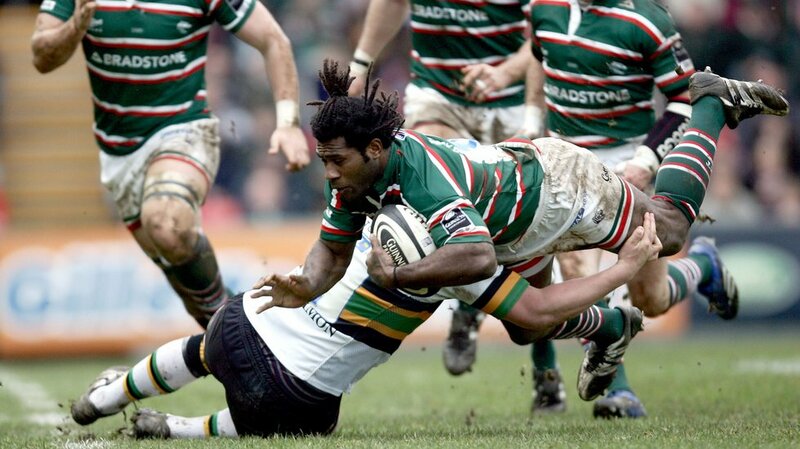 On the way to a league and cup double in 2006/07, Tigers won at Franklin’s Gardens but then lost at home to a Saints team who were relegated from the game’s top division at the end of the season, meaning 2007/08 would come and go without a derby. 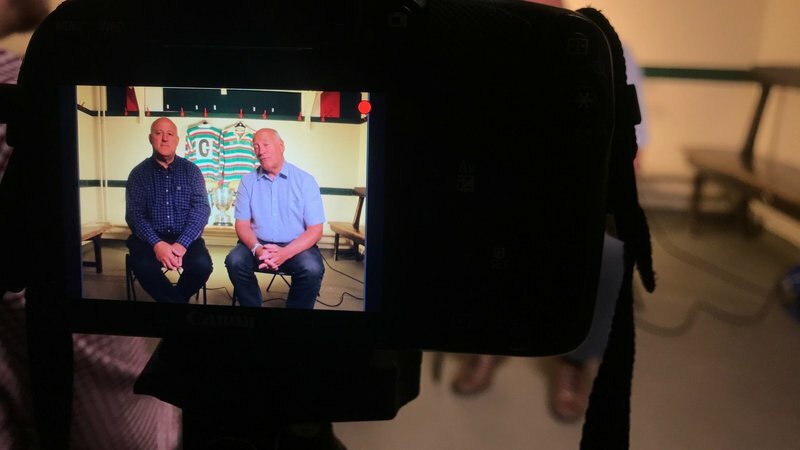 Read the final part of our three-part feature exclusively on LeicesterTigers.com tomorrow (Friday, March 22) as we pick things up with famous cup runs, the amateur head-to-heads and what professionalism meant for the Midlands rivals. Match tickets for Tigers versus Saints (Friday, March 22, 7.45pm) are available in person at the Tigers ticket office, phone 0116 319 8888 (option 2) or click the link below.